and physical fitness in cats and dogs. 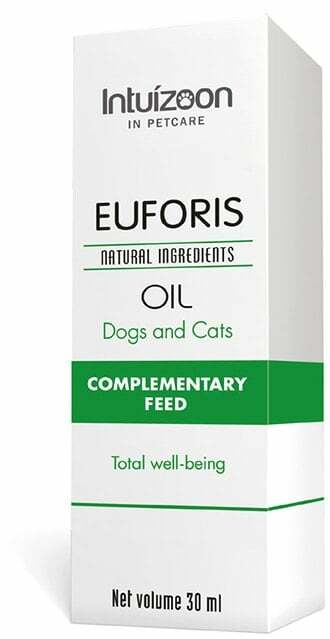 Complementary feed in oily form for the emotional and physical fitness in cats and dogs. May also prove beneficial in cases of generalized stress, separation anxiety, sleep disturbances and behaviour disorders. Easy administration with graduated 1ml oral syringe. To be used in accordance with veterinary advice. FEEDING INSTRUCTIONS: Administer directly in mouth. Start with 0.3 ml/10 kg body weight per day. Increase the quantity gradually until reaching 0.3 ml/10 kg body weight, twice a day. This amount can be doubled according to the veterinarian’s criteria and the animal health status.